Are you looking for stellar ideas on how to renovate your home flooring? There are different types of flooring materials you can choose from. The common materials used are hardwood and tiles among others. Most people prefer investing in hardwood flooring in Toronto due to the wide array of benefits that come with using this type of material. Hardwood floors are available in a wide range of appearances. They come in different colors, stains, styles and species. There are various aspects that differentiate the quality of hardwood flooring and they include: type of tree, how it was grown, the method used to cut and dry it and finally, how it is manufactured. In this article, we are going to highlight how different sawing methods can create different hardwood flooring options, even when we are talking about the same species of tree. This will help you understand how manufacturers come up with different flooring cuts to suit a spectrum of resultant appearances. Also known as flatsawn, plainsawn boards are the common choice for most home owners due to their style and functionality. The plainsawn board has end grains which are formed from annual growth rings between 0 to 35 degrees. When cut, the board forms a pattern known as “cathedral”. This type of flooring cut can be found in most old homes dating back to the early 1900. Plainsawn boards are cut from red oaks which are known to be strong and durable. They give your home a unique finish and feature an antique look. They are cost-friendly and very easy to maintain. Since plainsawn boards are made from the oak tree, they retain as much heat as they can which allows homeowners to save on heating bills. Quartersawn boards are made when a log is cut into quarters. The surface of a quartersawn board has annual growth rings at 90 degrees. The quartersawn board is mainly made from the white oak which has a unique grain pattern. White oaks have vibrant ray flecks caused by medullary rays which create a wavy grain pattern. Manufacturers find a unique angle to quarter the white oak logs to come up with cool and elegant boards. Compared to plainsawn boards, quartersawn boards are more expensive. These boards are not only strong, but they have an ageless quality which means they can last for years before a homeowner needs to change the flooring. The riftsawn boards have a lineal grain pattern. This type of flooring cut has an annual growth ring around 45 degrees. The logs are first quartered at a 90 degree angle then cut from the center face to a 45 degrees angle. Compared to other types of flooring cuts, riftsawn boards cannot be manufactured into wide planks since they come from a smaller part of the quartered wedge. It is very hard to find a riftsawn board that is more than 4 inches. Just like the quartersawn boards, riftsawn boards are cut from the white oak tree to come up with unique surface patterns. A homeowner seeking to renovate his home using riftsawn boards has to invest more since he has to buy more pieces to fill his floor properly. You need to ensure that you use a professional flooring company to fit riftsawn boards into your home to ensure an excellent outcome. The livesawn boards are made from a mixture of the riftsawn, quartersawn and plainsawn cuts. These cuts are made from very huge logs to create wide-plank boards. A livesawn board has a mixture of different annual growth rings which gives it a unique set of patterns and knots. The wider the plank, the more patterns are created on the surface. This type of cut requires a special drying technique to ensure the board is stable. Unlike other types of flooring cuts, livesawn cuts have minimal waste when manufacturing. A livesawn board incorporates all the natural characteristics of a tree which makes it stand out. As you can see from the different types of flooring cuts, every floor board has a story to tell. You will never find a board that is similar to the other, which makes hardwood flooring the most preferred choice with most homeowners. Each hardwood flooring board has a story of its own from how the tree was grown to how it was manufactured. It is one thing to choose the right flooring cut that will suit your home and it is another to ensure that the installation is done to perfection. Always use an experienced flooring company to make sure that hardwood boards are installed professionally. If you are not sure which hardwood flooring cut would suit your home, consult an experienced flooring company to get the right advice. We supply flooring products only by the best manufacturers chosen for proven track record of supplying quality products, providing great value, manufacturing standards and environmental footprint. We have earned our reputation over the past 35 years in Greater Toronto area as a supplier and installer of quality flooring products. Read our reviews on HomeStars to find out more. We've built our reputation by nurturing long-lasting relationships – taking the time to work through the many options and possibilities available to you. Return and referred Customers are a large part of our business. The flooring industry is filled with technical jargon – we use plain English and if you wish plenty of detailed explanation to help you make an informed decision about your flooring needs. We will paint you an accurate picture of what is needed. Our aim is to provide a fully customized flooring project what will withstand the test of time. 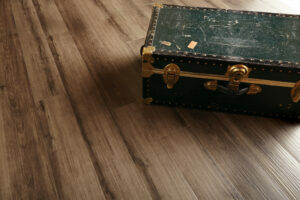 We aim to be the best flooring company in the GTA, and differentiate ourselves from the rest by carefully examining and understanding your needs, meet your expectations and explain things in the simplest language. "If you think a professional is expensive, just wait until you hire an amateur!". You can quickly and easily request a flooring estimate by calling us at 416-398-0019 or by clicking on the "Request a Free Estimate" button.